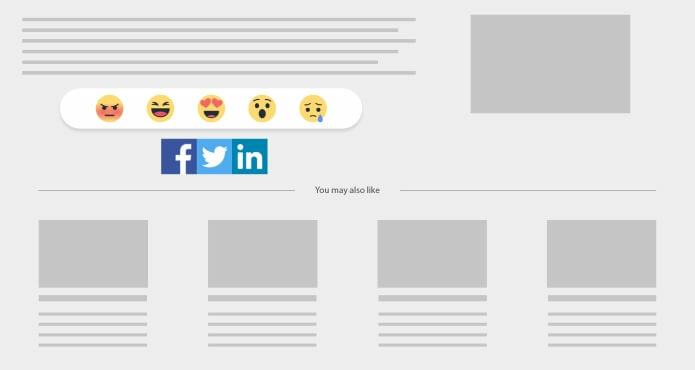 Make your content shareable with emotion reaction share buttons! The platform provides content personalized to match the reader’s emotional state. Advanced algorithms analyze user data and generate more engagement and new revenue streams for your site. Users can express their emotions and share their feelings like never before. 5-minute installation. Just paste a few lines of code into the HTML of your site. That’s it!